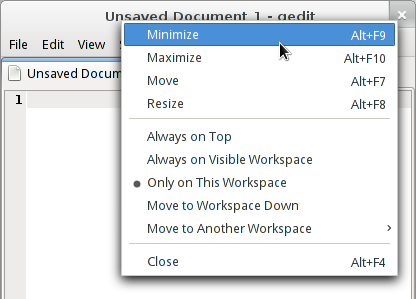 Minimize and Maximize are still available and functional in the right-click menu and as shortcuts. Like always. When using GNOME Shell there’s only a Close button on the window, GNOME3’s default. Yes, if you really want to. You only need to change a key in the configuration system. Just as you have always been able to change GNOME2’s window-controls configuration. This entry was posted in English, GNOME, planetdebian, planetgnome and tagged flamebait, gnome-shell, gnome3, windows. Bookmark the permalink. You can already do “send to bottom”: just middle-click the titlebar.